Gee these weeks are flying! 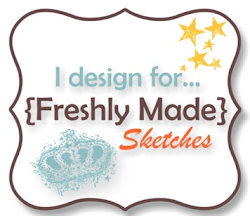 It’s Wednesday already and it’s time for a new sketch at Freshly Made Sketches. This weeks sketch has been designed by Linda Callahan. She creates really cool sketches and even more amazing cards! Head over to her blog and check them out! I’m channeling my talented colour combining friend Amy O’Neill and have added more than my usual two colours to my card. The candles I’ve created are from Stampin’ Up!s Build A Birthday. I have inked them up in Pool Party, Sweet Sugarplum & Peekaboo Peach. The flames are stamped in So Saffron and to give them a little more depth I added a little Daffodil Delight with my Watercolour Pencil. I really like this sentiment from Balloon Adventures and know that I’ll be using it a lot from now on. I love seeing everyone’s interpretations of the sketches. 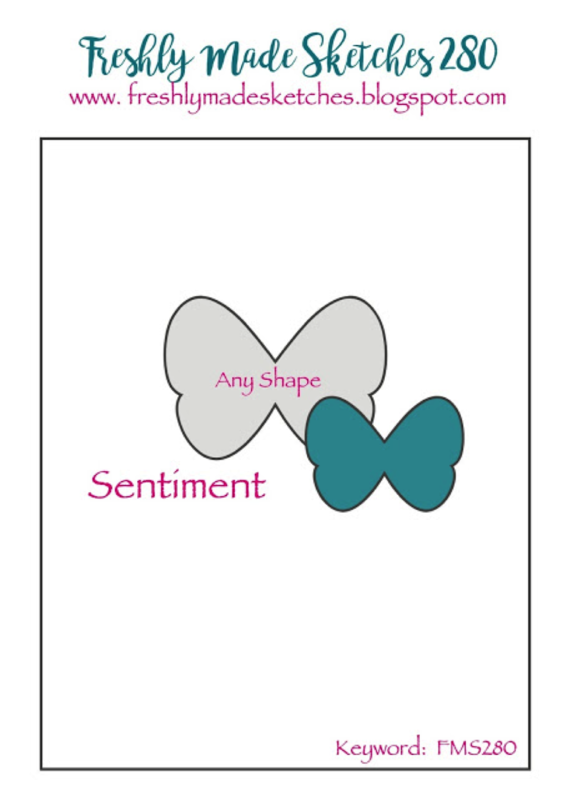 Head over to Freshly Made Sketches and take a look at the fabulous cards the design team have created. We would love it if you could join in with our challenge. These are totally Amy colors, haha!! And such fun. Love the candles. What an awesome and happy card! Yep that Amy can combine colors…..this will make her proud! Beautifulky done with the big candles and bold sentiment! So cheery for a birthday! 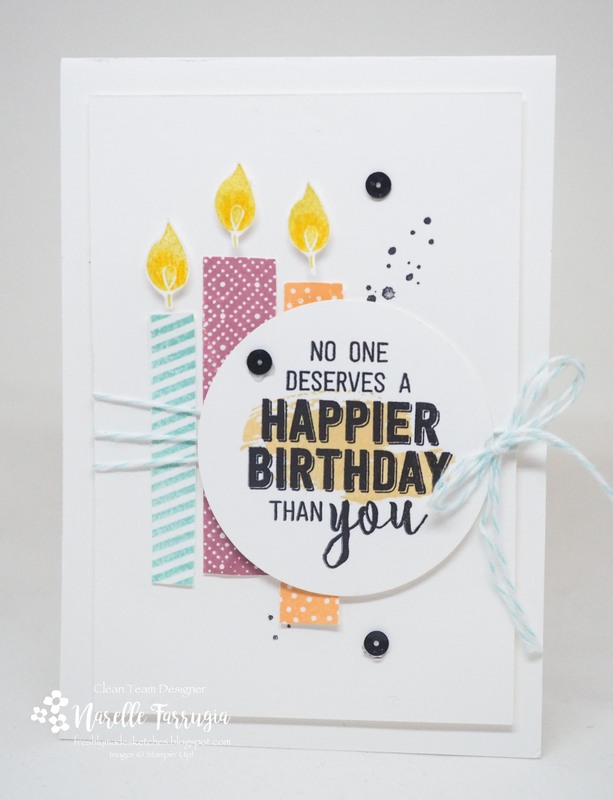 Great job with your colours, Narelle – they work so well together and your card looks wonderful! What a fun birthday Card! Love the big candles! The patterned candles work so well with the color gradient of the flames! Superb! Oooooh!! I love these colors together. I’m a little intimidated by that Sugarplum color, so I’ll have to try using it with these other pretty colors. Such a pretty card, Narelle! What a fantastic card Narelle! I love the candles and that fabulous sentiment! Such a great take on the sketch! Fun birthday card Narelle! Love those colorful candles! I totally love that pretty and fun birthday card! Those colored candles and the big sentiment are so cheerful ! Such a fun and creative use of the layout!! And such sweet colors!